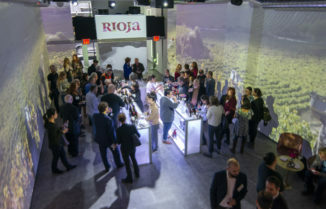 What Does It Mean to be a Modern Winery in Rioja? 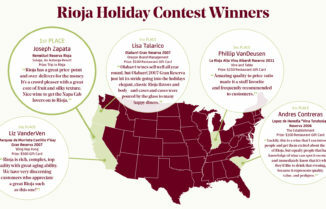 Home/Trade Secrets/What Does It Mean to be a Modern Winery in Rioja? Nothing is born and instantly becomes a classic. And if it something were born that way, it would be an imitation. Classic means known, renowned, reputable, worthy of imitation, who does not deviate from customary rules and has allowed enough time for this to happen. Everything that is born contributing to novelties or restoring forgotten antiques or has deviated from the customary rules, is modern. Modern means current, new, renovating, relative to the time of its birth. What I want to say with this preamble is that the classic or modern concepts are in function with the time that has passed since its birth and from the tastes that conjecturally prevail. But not everything can be classified as classic or modern, the majority of what is created is basic and unexceptional. At the end of the 1980s, there was a new concern revolving around the Spanish wine sector and, of course, in Rioja. A new generation of winegrowers, winemakers, viticulture technicians, wine entrepreneurs were participating in projects consisting of a renewal concept. They applied new ideas, while others learned from older vintners and some took what they had learned from trips they had taken to other wine regions in the world. But in any case, they were struggling to change things in a area like Rioja, where big wineries were not common. Some of the projects that came to be during that time, proposed to make wines whose process in the wineries went unnoticed and the character of the climatic vintage and the landscape of the vineyard took on a special role. They began to value old vines and low yields, to cultivate with time, to look for optimal maturation of each, to harvest in boxes, to use the table of selection, to elaborate separately and above all, to extract everything that the vineyard had given. The French oak, having already been used in previous wineries, was introduced and the malolactic fermentation in barrels began, which implied the very early start of aging and an increase in the proportion of new barrels. Wines that emerged from this new way of working, were of a deeper and livelier color, with fruitier aromas, of greater structure and minerality and, of course, different than the usual ones at that moment in time. They also differed in price, due to higher costs and increased demand in the market, could be positioned in a much superior range. 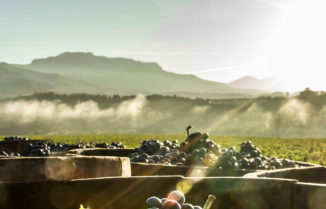 To recoil this advancement, other wineries wanted to sign up and make wines with more body, more color, more wood and at a higher price so they could take advantage of the new niche. But, as always, the market is wise and every wine has shown their true colors causing many of these modern wines to no longer exist today. Time always puts things in their place, and today some of the wineries that had the modern label during the 1990s are settled in Rioja next to the great brands that have forged their fame since the middle of the 19th Century. In the case of Bodegas RODA, we remain faithful to a way of understanding wine to help people enjoy it, in which the landscape is seen in a transparent way, with absolute respect to the aging, elegant and fresh wines that can be enjoyed while they are still young and that three decades later still remain delicious. Today, they say that we are the most classic of the modern. “If they say it, it must be true”, but surely in another three decades they will call us classic, renowned, reputable and worthy of imitation. 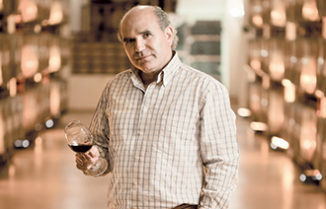 Agustín is the General Director of Bodegas Roda. He belongs to a family of vintners’ and small wine producers. At a very early age, Agustín took charge of his family’s viticultural responsibilities and winemaking for their small production winery. From 1988 to 1990 he pursued his Masters in Viticulture and Oenology and for six years held the title of professor of viticulture at the University of La Rioja. His first experience with Bodegas Roda was as a consultant in February 1992. The owners were so taken with him, he was asked to join the board of Roda in 1994 and four years later accepted the position of General Director of the winery and all its operations.